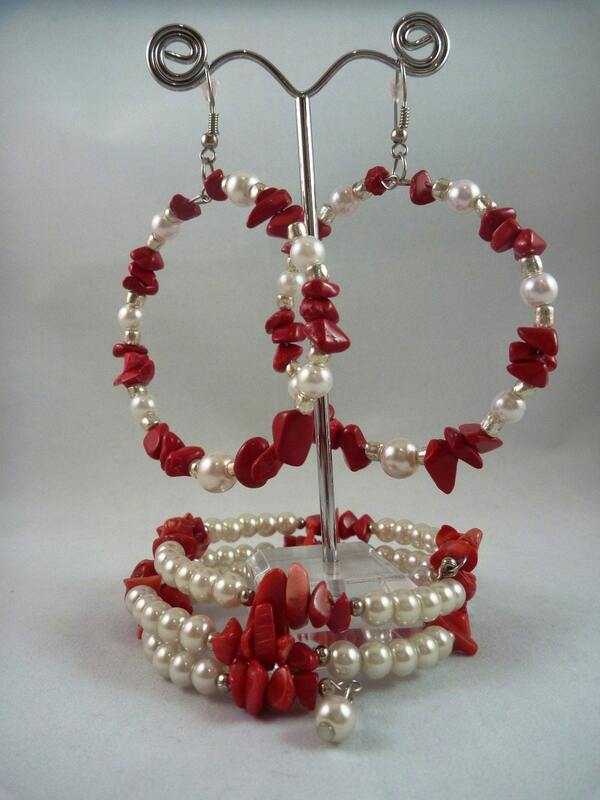 The set is made out of Coral chips, white Swarovski pearls and glass bead. The bracelet is made out of an adjustable wire that is wrapped around the wrist. The hoop earrings are 2.4" in diameter and have an ear hook. SHIPPING WITHIN US IS FREE!! !